The schematic indicates a single extention basin. This system includes; infiltration of the water quality volume and, detention storage. 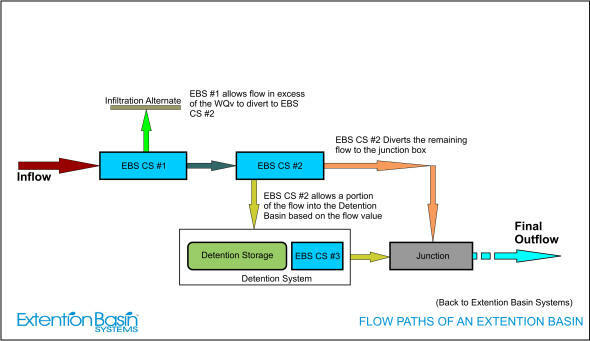 Each EBS Control Structure is provided by EBS, Inc., based on the Engineer's inflow data and the regulatory requirements.